RIYADH, AFP: Saudi Arabia’s attorney general sought the death penalty for five of 11 defendants charged with the murder of journalist Jamal Khashoggi as their high-profile trial opened in Riyadh on Thursday. The attorney general said Saudi Arabia had twice submitted formal requests for evidence from Turkey -- where Khashoggi was murdered inside the kingdom’s Istanbul consulate -- but had received no response. 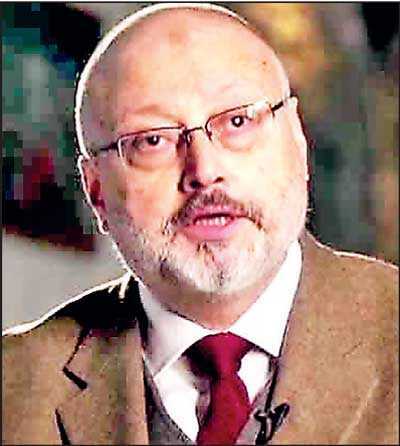 Khashoggi, a contributor to the Washington Post, was murdered on October 2 in what Riyadh called a “rogue” operation. The consulate and the residence were searched by the Turkish authorities in October along with several other locations. Ankara has sought the extradition of the suspects in Saudi custody to stand trial in Turkey but its requests have been repeatedly rebuffed by Riyadh. The US Central Intelligence Agency has reportedly concluded that the kingdom’s de facto leader, Crown Prince Mohammed bin Salman, very likely ordered Khashoggi’s murder.